LogistiVIEW’s Vision Pick and Put Wall reinvents order fulfillment for warehouse operations. Augmented Reality (AR), Artificial Intelligence (AI), and computer vision combine to deliver intuitive visual instructions to empower worker productivity. Grab your spot in the Learning Pod at the WERC Annual Conference with LogistiVIEW CEO, Seth Patin, for “Reinventing Pick- & Put-to-Light with Augmented Reality.” Discover how to create a PTL system with AR that can be moved and adapted with changing business needs. Learn how smart glasses with powerful AR visuals enable a new Flexible Automation, with DC's deploying in as little as 90 days. Hear about how this new combination of technologies is reinventing light-directed sorting, and how an omni-channel warehouse reduced its converter volume by 15% to avoid bottlenecks in peak season. 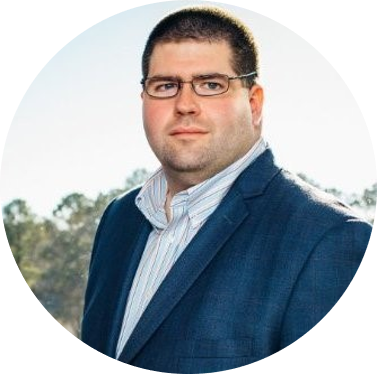 Since starting his career at supply chain software vendor, RedPrairie (now JDA), over 15 years ago, Seth has worked in several roles as a technology vendor, customer, and consultant, eventually founding Accelogix, a consulting firm that implements warehouse management software solutions . Seth’s experience in distribution operations and his vision for a better approach to human/computer interaction led him to found LogistiVIEW in 2014 and lead the company to become a pioneer and leader in the development of connected workforce technology. Have a question? Curious how AR can help grow your business?